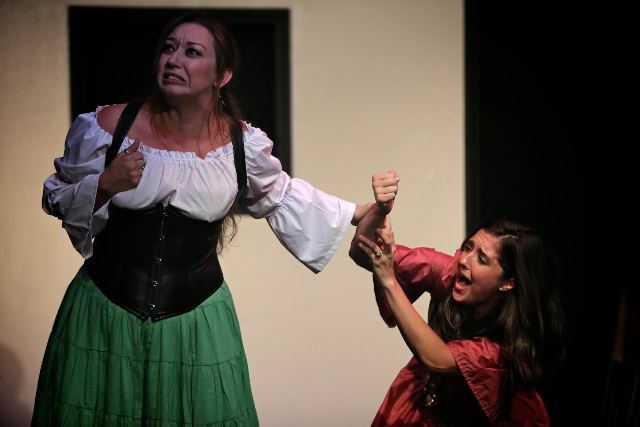 Shakespeare was a clear favorite this year at the 2015 Hollywood Fringe Festival. Among the award-winning productions was Ryan J. Smith’s Love Labours Won, which received two fringe awards: The International Award and an Encore Producers’ Award. Back by popular demand, the show has extended through August 6th and will play Thursday nights at 8pm in the Dorie Theatre. Is it a sequel to Shakespeare’s Love’s Labour’s Lost like the title might imply? I asked Ryan to tell us about the play, which sounds delightful. Ryan: Love Labours Won is a completely original play, written entirely in rhyming iambic pentameter, and has nothing to do with Shakespeare’s play, Love’s Labour’s Lost. Some people have even compared it to Shakespeare’s Love’s Labour’s Won – considering that play does not exist, this is quite a feat! 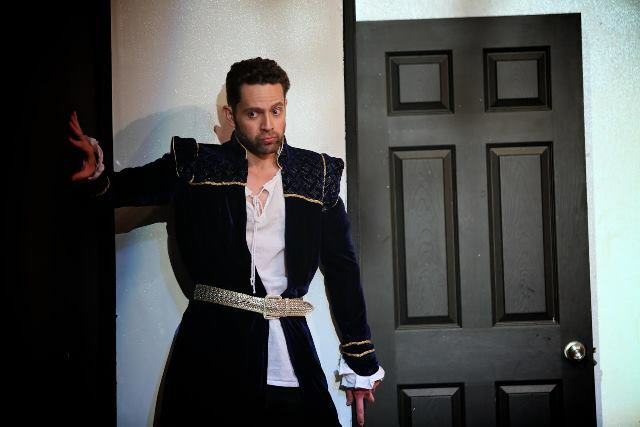 While audiences may see flashes of Shakespeare’s works like Two Gents in the storyline, devices, and some heightened language, it is unrelated to any specific Shakespeare play. The title refers to the endeavors of the characters in their labours to find happiness in love. The language, plot, style and verse structure, however, is very Shakespearean. I have been flattered by many reviewers who have favorably compared it alongside works by Shakespeare, Moliere, et al. So the title is both relative to the story and an homage to the genre. The story follows two sets of lovers and a theatre troupe. The males in each pair chase after a beautiful actress in the acting troupe, while the females each come up with devices to either trap their partners in their guilt or set them free. It’s a morality play in the form of a romantic comedy. What made you decide to write the play, and then on top of that, to write it in verse? That’s a big undertaking! Thank you. Well, I wrote the play in 2005 specifically for the 2006 Edinburgh Festival Fringe. Love Labours Won is actually my third of four plays that I have written in iambic verse. To date, I’ve also written 1,292 Shakespearean sonnets – the first 500 of which are published in a volume entitled 500 Shakespearean Sonnets: the diary of a poetic quest for truth. I find writing in iambic verse very natural – I have no idea why. At the time of writing, I was about 5 years into practicing mindfulness meditation, and I wanted to share what I have learnt about desire and conditional versus unconditional love. That was my impetus for writing the play. How would you compare your experience with audiences at the Edinburgh Fringe Festival and the Hollywood Fringe? The play has been highly successful, I’m gratefully to say, in both festivals. But they are very different festivals: In Edinburgh it’s normal to perform your show every day for close to 4 weeks (including previews). So that’s around 26 performances. When you are not performing you are flyering every day, non-stop, to the thronging masses that are hungry for the best shows. Here in Hollywood things are a lot smaller, with most shows just performing 4-6 times during the entire festival. And the hungry audiences only seem to turn up at the weekend after 6pm. Both are fun experiences, but they are worlds apart. There are also differences performing the play. European audiences are a lot more familiar with Shakespeare and other plays where actors directly engage with audience members. Here in L.A., I found that unless we went for a soft start – where I, in costume, talk directly to the audience before the show even begins – we ran the risk of terrifying/confusing some audience members at the points in the play where we turn and talk to them. Taking care of those differences, however, we have had very receptive audiences on both sides of the pond. Do you have bigger plans for the play? The script is about to be published, and I’d love to see Love Labours Won in some popular Shakespeare-based venues around the world. I’m also considering taking it back to Edinburgh in 2016. I know it would be very well received, especially with it winning The International Award and an Encore Producers’ Award here at the Hollywood Fringe. Thank you, Hollywood! The extension of Loves Labours Won will play Thursdays July 23, 30 & August 6 (8pm) at the Dorie Theatre, 6476 Santa Monica Blvd, 90038. Ryan J-W Smith is currently completing his debut feature documentary 2plus2makes4 starring himself, Emmy and Golden Globe winner Ed Asner, Tony-nominated Daniel Sunjata, Professor Noam Chomsky and the late Emmy-nominated Gore Vidal. For more go to www.rogueshakespeare.com.